Honeymoon - Katie & Paul's Big Day! St. Lucia here we come! 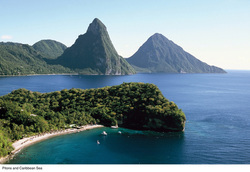 Paul and I will be honeymooning in St. Lucia. We will be staying at the Sandals Grande St. Lucian. Can't wait!